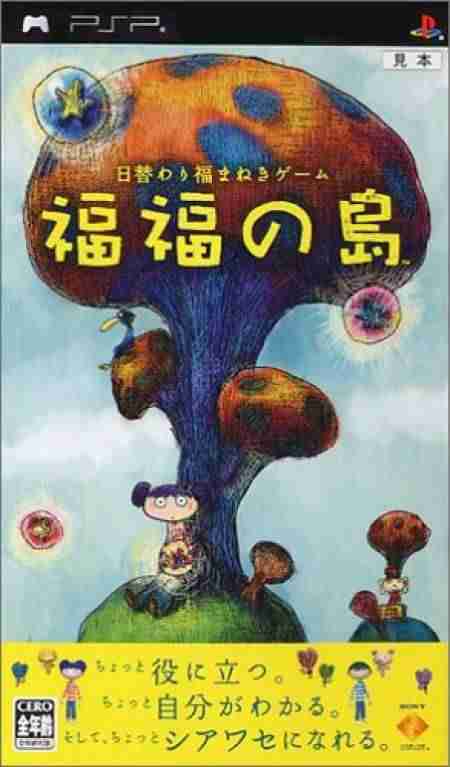 Fuku Fuku no Shima takes place on an island that exists in the space between reality and your dreams. Time progresses on the island just as it does in real life, and with changing fate comes new events to keep you entertained. Youll have to interact with the island residents, playing mini games and purchasing goods from shops. You can also download new crossword puzzles from the net every Monday and exchange items and your business card with other players. Te gustó este juego? pero te interesa descargar mas juegos de PSP Te invitamos a que pruebes descargar ape academy, aparte de juegos de accion podrás encontrar muchas más como: juegos de aventuras para la PSP y siempre disponible en nuestro sitio web de GamesTorrent.